Story and Photos by John Sundsmo. 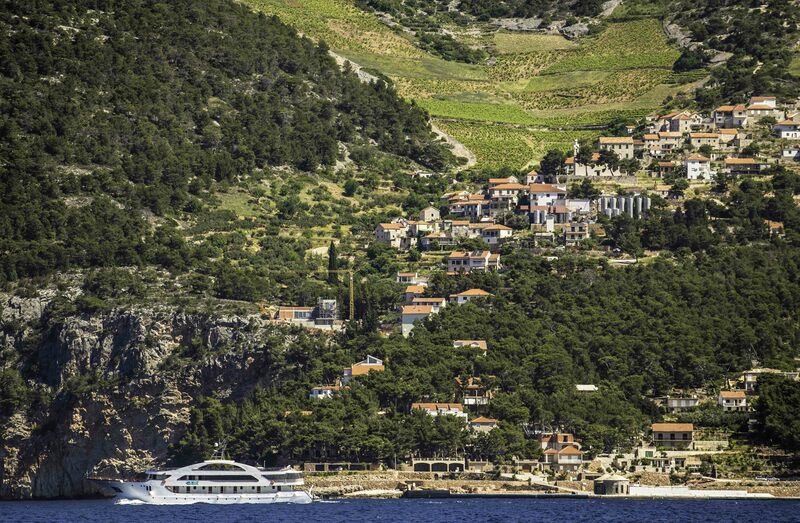 On a recent Katarina Line cruise of Croatian discovery, we learned that wine makers in the Dalmatian Islands have left an indelible mark on the fine wines produced in California, Australia, New Zealand and Chile. Remarkably, throughout wars, conquest and droughts, the islands of the Adriatic Sea, (East of Italy and South of the Alps), have produced fine wines for 2,500 years. Galleys and sailing ships transported that wine up and down the Mediterranean throughout Greek (500BC) and Roman times well into the 14th century. Greek writer Athenaeus wrote 18 centuries ago about the high quality of Croatian wine especially those coming from the islands of Hvar and Korčula. We noticed homes everywhere beautifully graced with small vineyards. The local craft of producing Croatian wine seems alive and well in every small village. 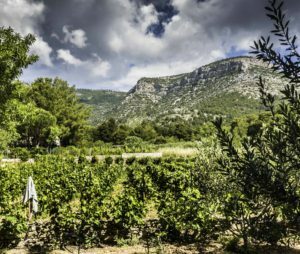 In ancient Greek and Roman times, Korčula (core-chew-lah), (supposed birthplace of Marco Polo), Hvar (var) and Brac (brak) islands were prime producers of fine wines. From Dalmatia, Croatian wine has seeded the world. 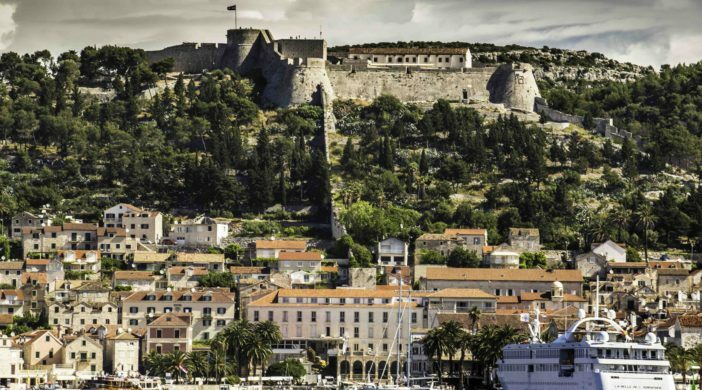 Landing in Split, Croatia, from London Heathrow, gave my wife and me a few days to recuperate from jet lag before jumping off on our four-night cruise of Korčula, Hvar and Brac in the Dalmatian Islands. 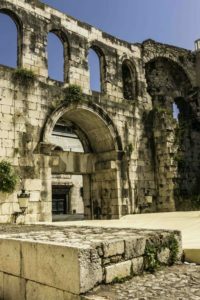 Split’s well preserved Old City was originally the 500AD Diocletian Palace, i.e., the retirement home of Roman Emperor Diocletian. In an era of frequent assassinations and short tenure, he was perhaps the only Roman emperor to die of natural causes. 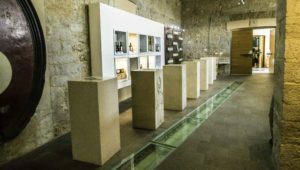 Visiting Uje Oil Bar and Bokeria, two fine local restaurants with wine and olive oil bars that lie within the walls of the Diocletian palace, we were immediately stuck by the variety, quality and affordability of the local Croatian wine, both reds and whites. Learning at one wine bar that California Zinfandel has its genetic origins in Croatia and that Napa Valley’s Mike Grgich was Croatian by birth, we wanted to know more. Zinfandel grapes were apparently introduced into California during the 1850s Gold Rush. Genetic studies by researchers at U.C. Davis and the University of Zagreb, (funded by Croatian expat Mike Grgich), have shown that California Zinfandel is descended from Crljenak Kastelanski, an ancient Dalmatian grape variety. The closest living relative of California Zinfandel is a 90-year-old Crljenak Kastelanski vine in the small family vineyard in Kaštel Novi, a small town near Split. With all the incredible history of wine making in Croatia, what happened; why isn’t Croatian wine on the wine map today? When we boarded The Futura, our 19 cabin Katerina Line cruise ship, and set off into the Dalmatian Islands, the answer was in clear site. Vast ancient vineyard terraces, created by moving huge piles of limestone, now stand vacant. Phylloxera, the wine plague, hit the Dalmatian vines in the 1900s. It is hard to imagine the financial devastation that must have reigned when, after 2500 years, wine making died. Large numbers of wine families left for New Zealand, Australia, Chile and California. Miljenko Grgić (Mike Grgich) left Croatia in 1923 to found the Napa Valley family vineyard that in 1973 produced a Chardonnay that bested Burgundy wines in a blind tasting. That world coming out event for California wines became known as the Judgement of Paris. From the island of Hvar, Andrija and Mandica Fistonić emigrated to land in Auckland. They started a company called “Villa Maria” which is now the largest privately-owned winery in all of New Zealand. The Croatian winemaker Jorge Matetic Hartard left Rijeka in 1892 for the San Antonio Valley in Chile. He founded the renowned and respected Matetic Vineyards. The Talijancich and Kosovich families emigrated from Croatia to the Swan Valley of Western Australia and founded wineries. Overcoming adversity, fine Old-World Croatian wine makers seeded the New-World with exceptional talent. Still, Croatian wine culture is far from lost. While only a small percent of the former acreage is back in commercial grape, some old vines did survive the phylloxera epidemic and with grafting to American root stock, there has come a rebirth of traditional red and white Dalmatian wines. 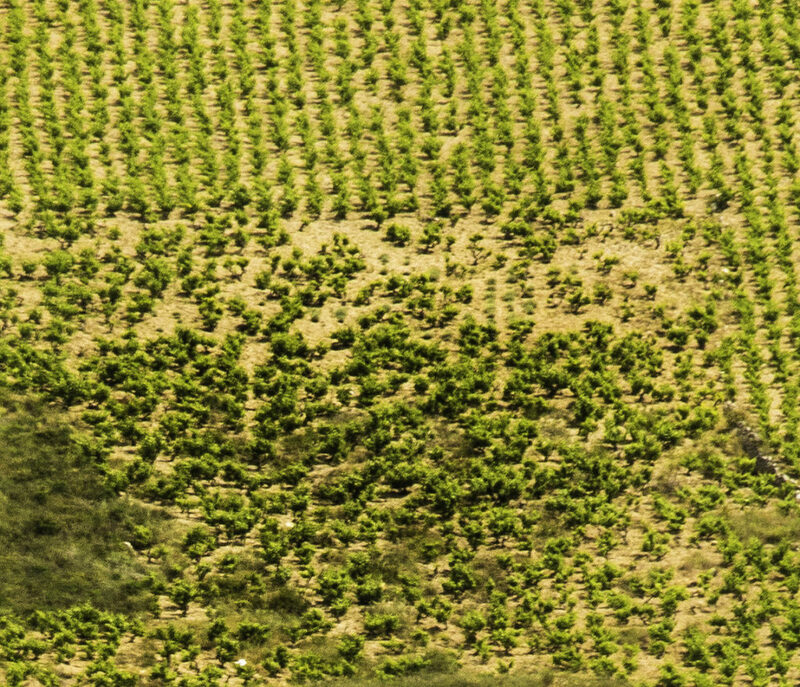 After generations of decline and a civil war in 1990, some small commercial vineyards are now reestablished on the ancient terraced hillsides. Fine Croatian wine making is reemerging, and in the ancient tradition. The results are invigorating the culture and finances of the islands, even though production is still limited. The staple ancient grapes in the Dalmatian islands are Pošip, for white wines, and Plavac Mali; (Croatian pronunciation- [plǎːʋat͡s mǎli]), for red. Plavac Mali apparently originated from the same ancient Zinfandel/Crljenak Kastelanski parent, but by inter-breeding with an ancient Dobričić vine on the Dalmatian island of Šolta. In ancient times, and today, some growers irrigated their vines with cave water in the summer. Cave water has a high mineral content that likely imparts unique flavors to Croatian wine. Similarly, the rocky limestone soil in each little island valley seems to constitute its own terroir. The range of 130 indigenous varieties and wide range of terroirs and micro-climates results in an astounding variety of Plavac Mali and Pošip wines. Additional variety is often created by blending with other white wine grape varieties including e.g. Bogdanuša (Hvar), Bratkovina (Korčula ), Prč (Hvar), Rukatac (Korčula ), Cetinjka Bijela ( Hvar, Korčula) and Grk (Korčula). Other red wine blends include Drnekuša (Hvar). While in Croatia, we sampled many of the local white wines. Without exception, they were high quality, complex and highly distinctive. To us, the pošip wines tasted a little like some Italian Pinot Grigios, (grown in the Northeast of Italy near the Adriatic Sea next to Slovenia.) Pošip wines all had a beautiful golden color with a dry, fruity, smooth flavor and a delightful aroma, with a pleasing taste and after-taste. Wineries offer “fresh”, or oak aged, vintages. To us, the “fresh” was best. We learned some of the best Pošip is a combination of 50% pošip, 40% rukatac and 10% bratkovina. The red Plavac Mali wines boasted bouquets and flavors of blackberry and dark cherry, combined with smooth dry lightness and oaky flavor. Croatia is home to fine Slavonian oak forests that supply casks for many of Europe’s best wineries. 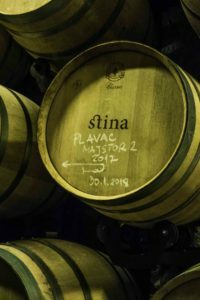 The aromas, high tannins in Plavac Mali were reminiscent of a full bodied Zinfandel but unlike many Zins, the Plavac Mali wines were generally lighter and drier on the palate. All were exceptionally drinkable. We visited the tasting room of “Stina”, (Croatian for stone), in the city of Bol on the island of Brac. It is the largest of just three wineries on the island and has a total annual production of just 15,000 bottles (not cases.) This small boutique winery is a wonderful example of the fine Croatian wine to be found in the Dalmatian islands. Stina leases their renovated 18th century facility from a wine grower’s cooperative that has owned it since antiquity. The cooperative supplies the grapes for the Stina wines and as the growers add new vines to the terraced hills, the production is slowly increasing. Wine Tip: Present theory is that Dalmatian Crljenak Kastelanski gave rise to the Italian Primativo and Zinfandel. Primativo is an early harvest grape that some think has more complexity and robustness than Zinfandel. It also has other traits that make it less difficult to grow. Primativo, introduced into California in the 1960s, is being cultivated as a more robust substitute to Zinfandel. EU regulations, (approved by the US), allow Italian Primativo to be labeled “Zinfandel,” so the next time you have an Italian “Zinfandel,” think Primativo. In the US, unlike the EU, the wines must be labeled as either Primativo or Zinfandel. With California Primativo somewhat less well recognized, some good values can be found. Croatian Exports: We learned that the fine hard Croatian limestone was exported to the US for construction of the White House and Capitol buildings, and it is also evident in many of the European parliament buildings. So, not only did Old-World Croatia export fine winemakers and wines, it also exported the pillars of New-World democracy. IF YOU GO: For more information visit: Croatian Wine, Hvar, Brac and Korčula on Wikipedia; the Hvar winemakers website; Paul Bradbury’s Hvar news blog and Croatian wine articles blog, e.g. “Hvar Island Wineries: A Touch of Class”. For bicycle and other winery tours on Hvar, see the Hvar Wine Tours website. 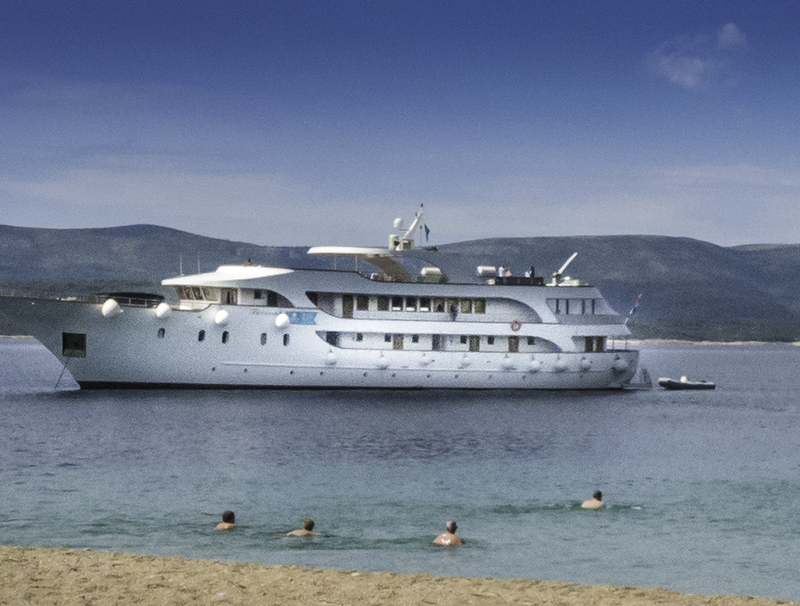 To visit the islands via intimate, affordable cruises aboard luxurious yachts with fine dining, see the Katerina Line website. 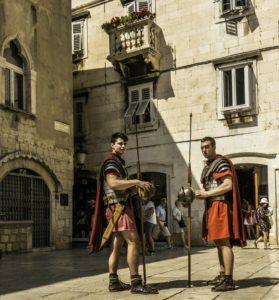 For a unique perspective and local travel advice, from a Croatian expat travel expert, talk to Kory at KunaTurs. 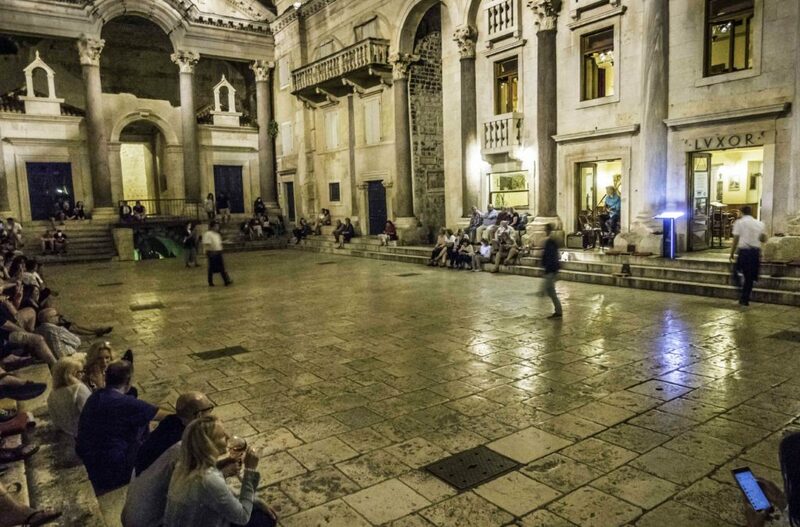 For more on the cruise, see the companion articles in this series: “Croatian Islands Cruise in the Adriatic Sea” and “Brac Island, Croatia: Sun, Sea and Stone“. 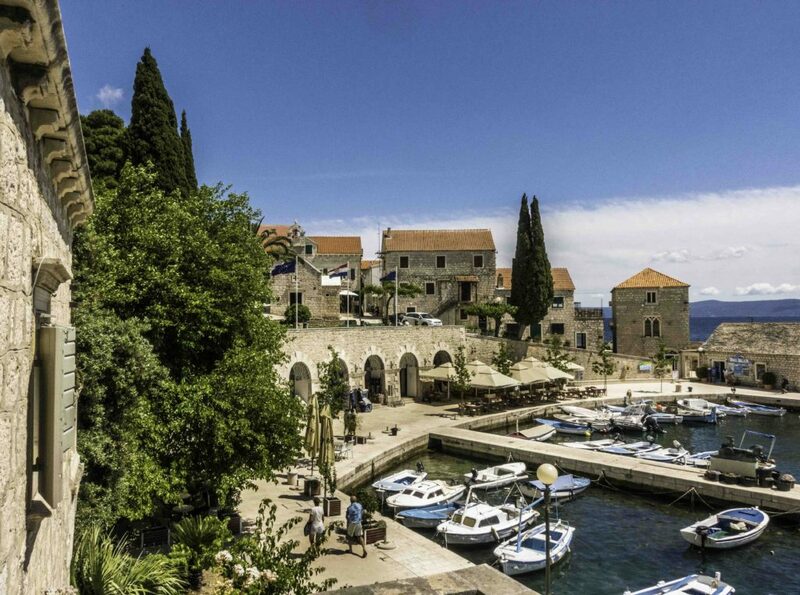 For more on Hvar Island, see “Hvar Island, Jewel of the Adriatic“; for more on Mediterranean Travel click here. Korčula: Bire Plavac Mali; Popic-Cebalo Plavac Mali; and Bartul-Cebalo Plavac Mali. Korčula: J. Krajančić Nerica Pošip; Zure Grk (Greek); Milina Pošip Amfora; J. Krajančić Mindel Pošip; and Pošip St. John. For more of John’s articles see: John’s articles. For more Barge and Cruise options see our Barge&Cruise page.